Known affectionately to American GIs as the 'Beep', the Dodge 3/4-ton truck was a widely-used supply vehicle of the Second World War. This model can be completed as either a WC-52 with winch or a WC-51 without the winch. 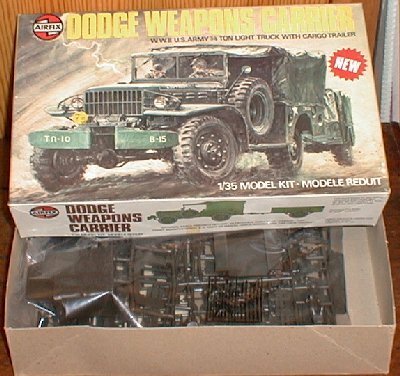 Full internal detail, a crew of three and a cargo trailer make up this 117-part kit.